Team Beryl is (currently) a group of five volunteers and two members of staff who work to make all workshop, events, and activities at the Broken Spoke inclusive and accessible to everyone by breaking down the barriers which prevent women and trans folk from engaging in cycling and mechanics. This spring, we re-established Beryl’s Night, a monthly mini-class followed by open workshop time for women and trans folk. It takes place on the first Thursday of every month from 6-9pm. 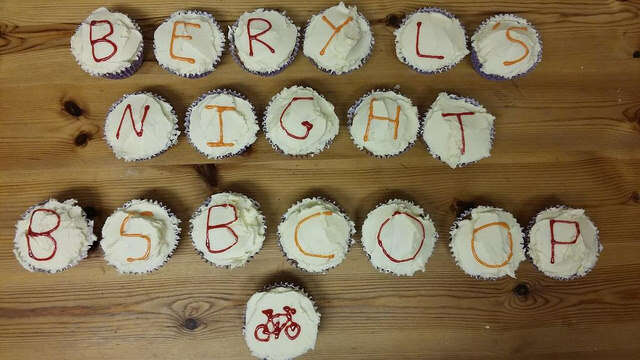 For information about the next Beryl’s Night, look at our web page or join our Facebook group! In the late 1800’s, the introduction of the safety bicycle transformed the act of climbing on a bike into an act of feminism. It made cycling a possibility for women, and provided us with freedom of movement: not only the ability to travel distances independently of men, but a reason to don trousers in favour of corsets and hoop skirts. Controversial! Although it’s come a long way, there are still barriers to be broken down by female bike obsessives. It’s no longer a question of leaving your house alone or what you wear to cycle (take part in a World Naked Bike Ride to test this theory), but there is still a question of whether women’s participation in cycling is legitimate. Can you expect to be taken seriously when you rock up to a club ride for the first time? Do you trust the mechanic in the bike shop around the corner not to talk down to you? The answer, from the members of Team Beryl, is a resounding yes. You belong in the world of cycling. It may not always feel like it, but just taking part makes a difference for everyone else. All kinds of people can become really good at mechanical things, but nobody starts out that way. 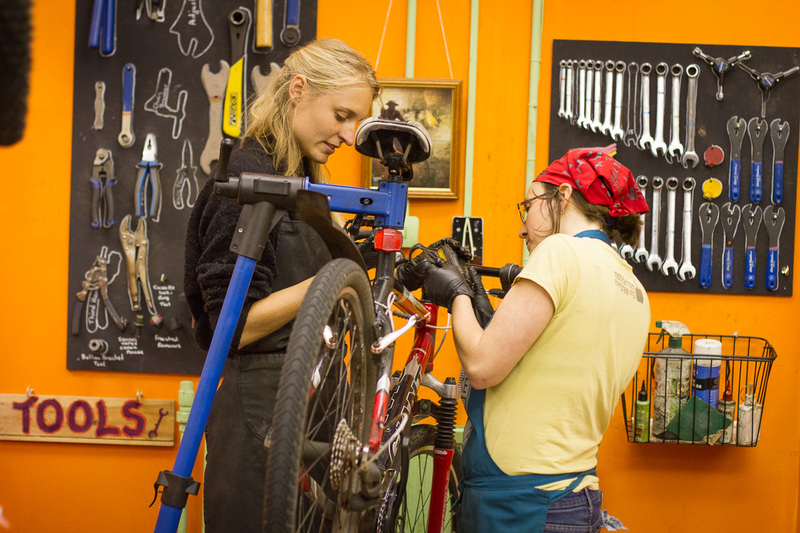 Even those who grow up with encouragement to learn how to fix bikes have made their mistakes. It takes courage to try something you’ve not done much of before – to actually do something that you know you aren’t good at yet. It’s because you were brave enough to fail that you develop the ability to succeed. Of course, there are many who attend Beryl’s Night who already have a really good skill base, but they had to be courageous once too. Do you know how to fix a puncture? I bet you also feel confident riding longer distances without first checking if someone in your group could sort you out if you had a flat. Knowing how to care for your bike – and putting your knowledge into practice – will ensure a smooth ride and prevent many roadside mechanical failures. I don’t know about you, but I really prefer a problem-free ride, and find the better the bike feels beneath me, the more I want to be out riding it! Try it out yourself: see if improving your knowledge of gear systems doesn’t have an immediate positive impact on your hill climbing skills! A little bit of mechanical know-how can improve your mechanical skills! When I first took up cycling, my approach to bike maintenance was very much “leave it until something breaks, and then ask my boyfriend or a male friend to sort it out.” This is not a solid approach. I took my first mechanics course for beginners about 5 years ago, and learned some basic skills (how to repair a flat) and some not-so-basic skills (how to service hubs). The experience of doing something I’d previously not even thought possible gave me the confidence to tinker on my own, learn more, and practice often. Which I then proceeded to do – in my own garden and in the Broken Spoke’s workshop. I still sometimes let my boyfriend loose on my bike, but NOW I can affectionately and competently trash-talk the results of his effort if it doesn’t go to plan. It’s great to be able to fix my bike on my own – or, as it happens, in front of a crowd as part of a demonstration at Beryl’s Night. The moral of my story is: be careful when you decide to learn something new, because in a couple of years, you might find yourself creating opportunities to teach it to others. And that’s a lot of work! 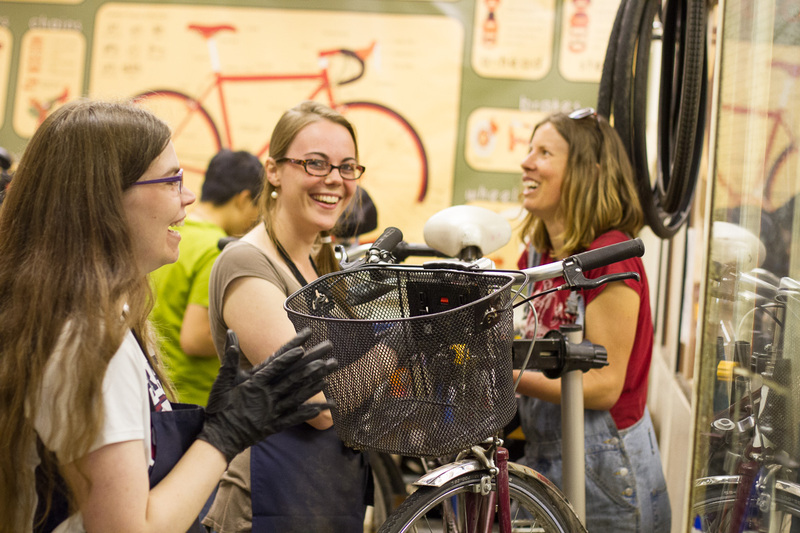 It is a surprising amount of work to produce a regular event where you provide cake, instruction, enthusiasm, and a space for women and trans-gendered folk to get their bike geek on. The members of Team Beryl share this workload joyfully, because we think it’s important. We’ve been really pleased with the demand for Beryl’s Night, where the workshop has been full to capacity, and all of the cake is gone at the end of the session. 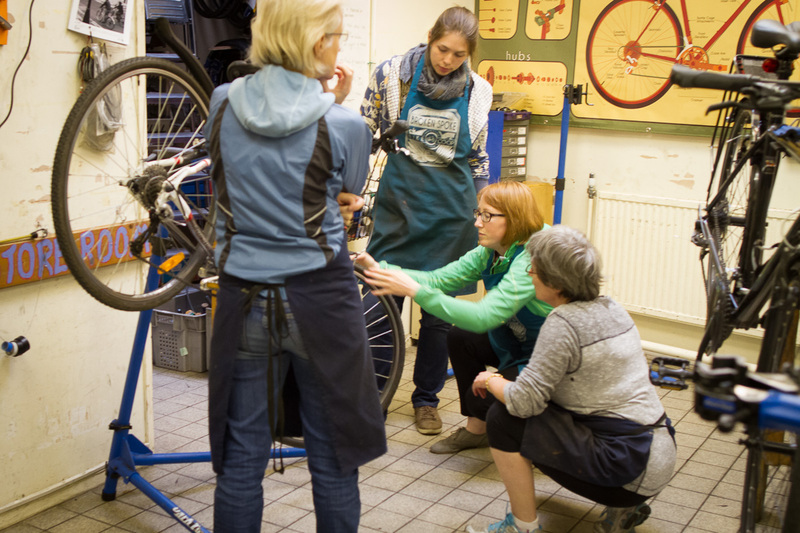 What is the most pleasing of all is to see people building friendships in the workshop while developing their skills and taking pride in their work and in their bikes. It is SO REWARDING to not only be a part of – but to help build – a community of people who share a passion for bikes!